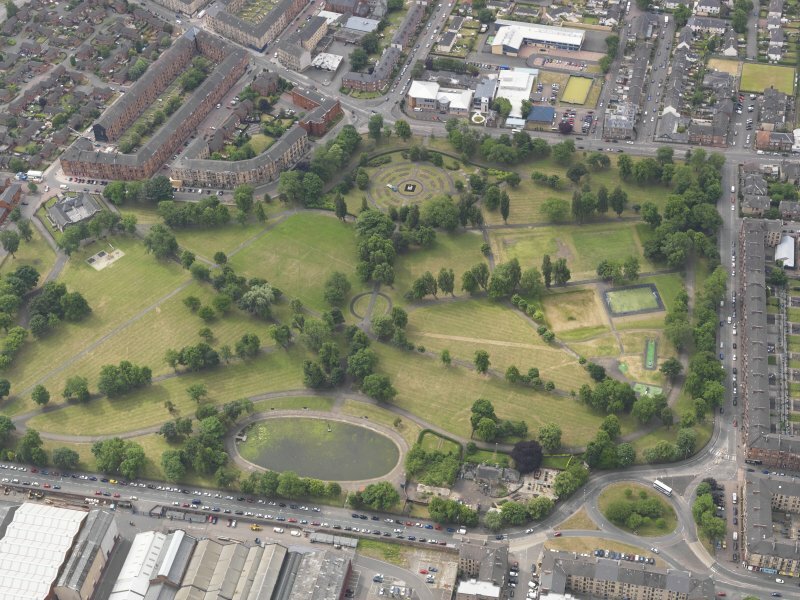 Oblique aerial view of Elder Park, Glasgow, looking S.
Bronze seated figure, wearing Glasgow University Hon LLB robes, on a raised granite plinth, enclosed in wrought-iron railings. Shannon was among the sculptors employed by Rowand Anderson to adorn the front of the National Portrait Gallery in Edinburgh. 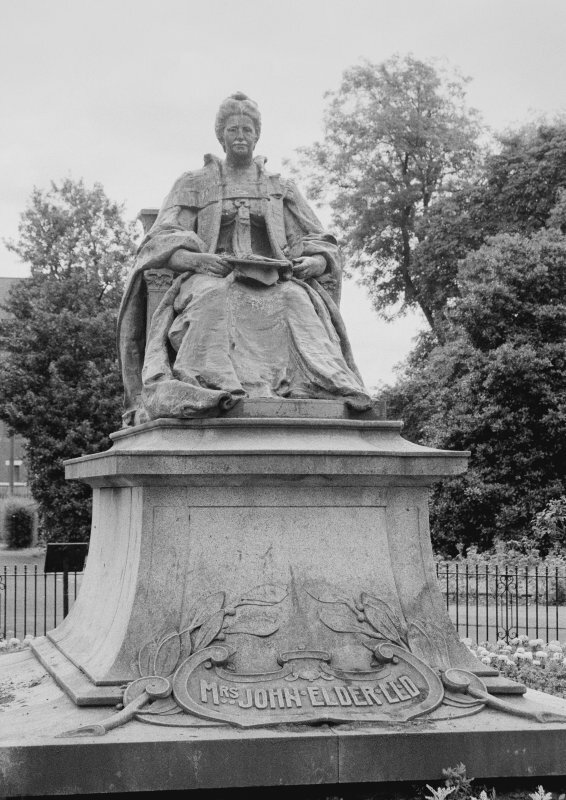 Glasgow, Elder Park, Statue of Mrs. John Elder. Sculptor: A. Mcfarlane Shannan, 1905-1906.